We’re not not exactly sure where May went, but it’s already June 1. Sure, summer doesn’t officially start until June 21, but if you’re like us, you’re already planning out the parties and barbecues you’ll be hosting all summer long. And while a picnic with paper plates and cups is fine in a pinch, we prefer to host (and attend) parties with a little more of that Southern comfort and charm we’re accustomed to. 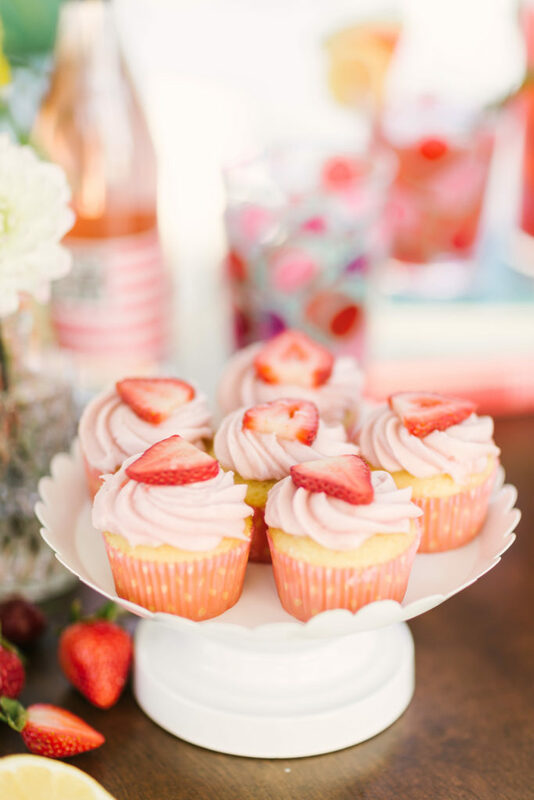 So we turned to Draper James friend Molly My to give us the inside scoop on what it takes to host a magical and memorable picnic, luncheon, or get-together. 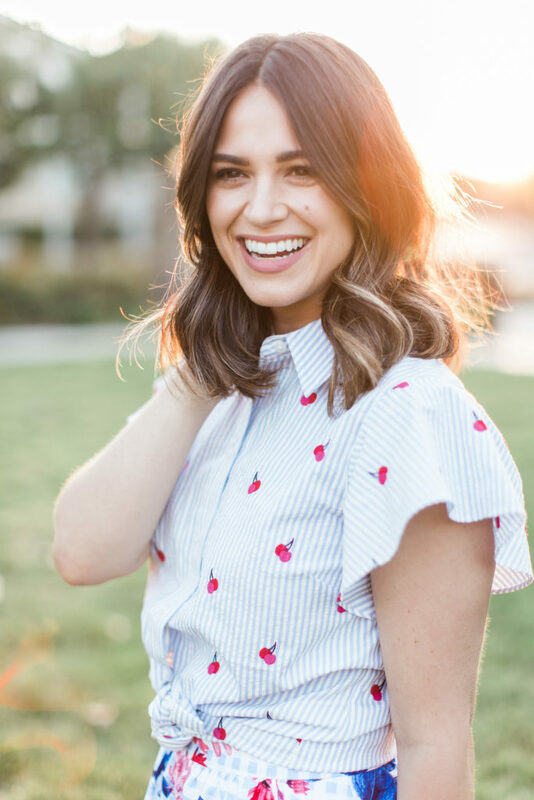 Molly, a Los Angeles native, wears our Cherry Orchard Button Down paired with our Garden Party Floral Skirt. Simply put, Molly was the perfect person to host a Draper James summer gathering. 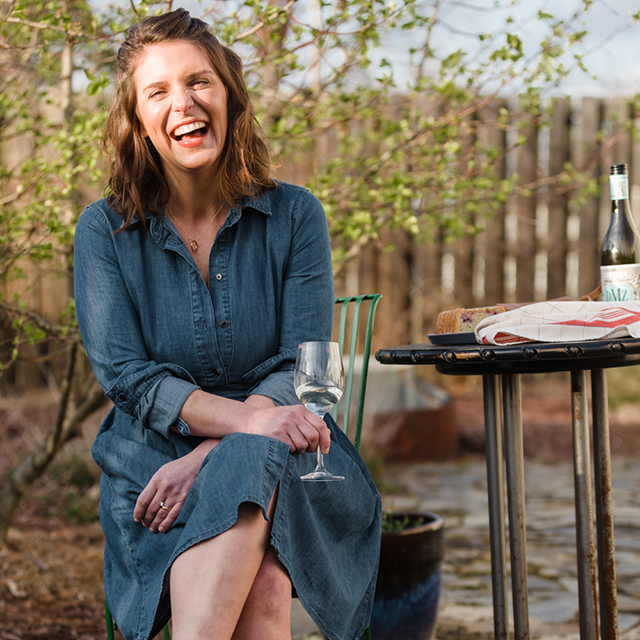 She’s stylish, entrepreneurial, and she knows her way around a stunning tablescape. 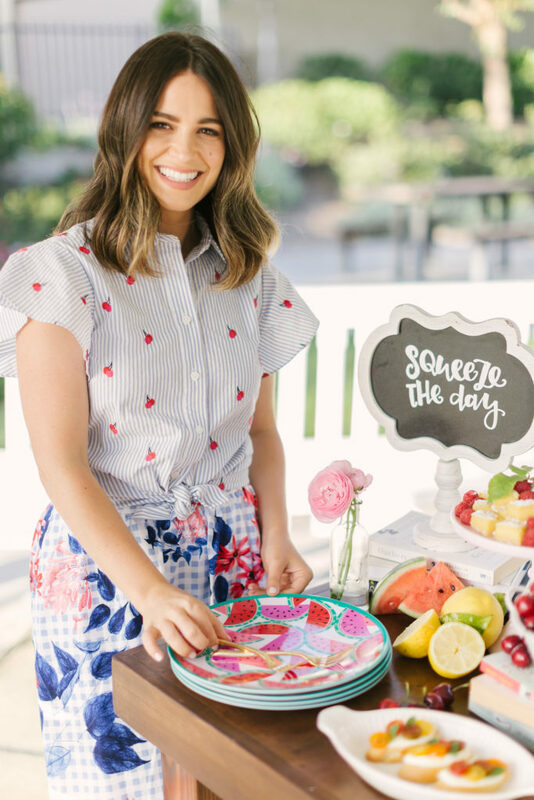 Check out her guide to summer entertaining below, as well as a recipe for Watermelon Rosemary Lemonade. First things first. Where’s your favorite place to host a party or picnic in the summer? I’m in love with gazebos (which you can often find within some public parks and gardens) and outdoor living spaces. I think they’re so welcoming and intimate — though you’re outside, you still have the comfort of a covered space that feels indoors (with the beautiful outdoors and fresh air surrounding you)! But really, it’s all about the company. If you’re with enjoyable people, any place can quickly become ideal. 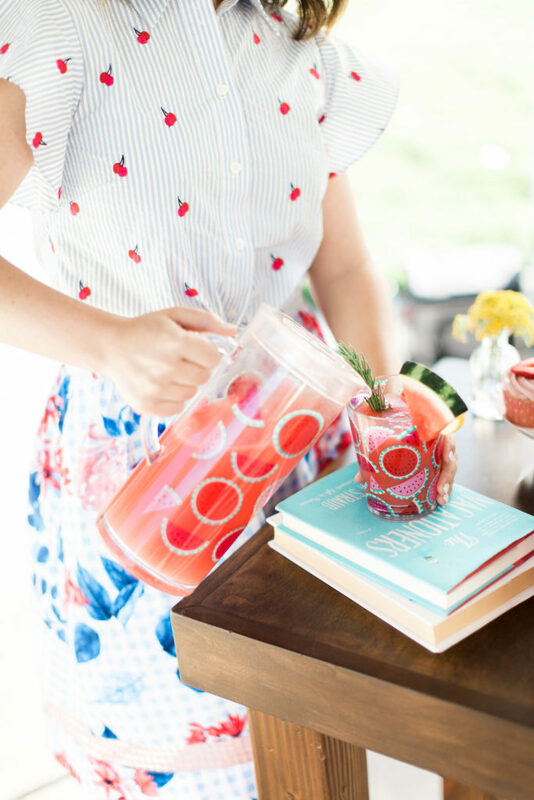 Molly proves any party (or outfit) is better when you add a little floral, cherry, and watermelon. 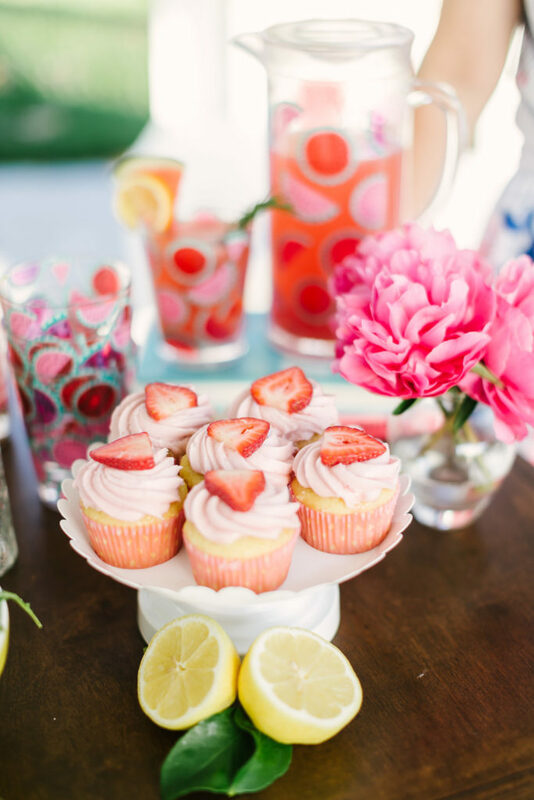 What’s the one thing a host should remember before throwing a get-together in the summer? Write this down, y’all! Plan around the heat and gather later in the day when it’s cooler out (especially if you’re hosting outside). Thankfully, the days are longer during the summer, so you can start later and still catch the daylight. 5 pm is a good start. Personally, my favorite time of the day is 7 pm (around sunset). That said, I like being at the height of a gathering during this time. 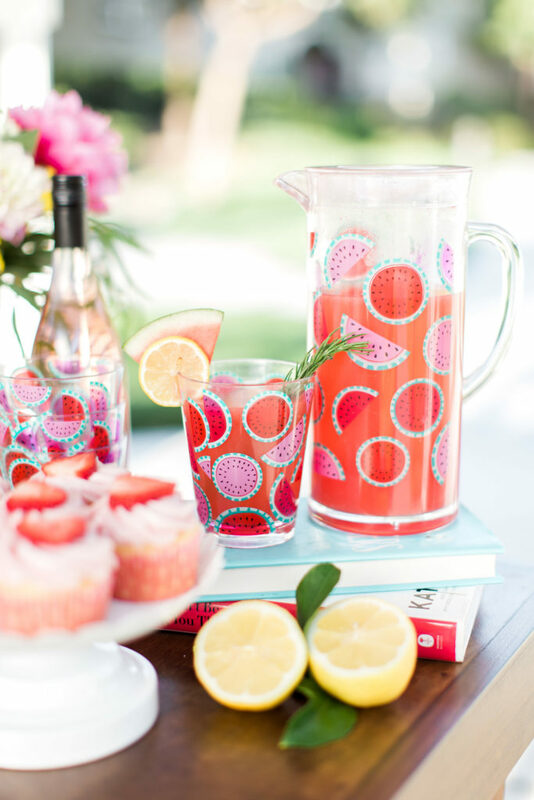 Keep your guests cool by serving sweet tea or Watermelon Rosemary Lemonade out of our Watermelon Tumbler Set. A tablescape can really make or break a summer dinner party. What’s the one thing a table setting needs in order to stand out? The most un-obviously obvious thing: something unexpected! With so much inspiration out there today filling our social media feeds, we often gravitate toward ideas we’ve already seen before (if it works, why mess with it, right?). I’m a huge fan of collecting inspiration, but I always try to incorporate the unexpected. I also love having something for people to do, a conversation starter (no, not the awkward name games!) — like a book exchange. You can introduce these personal touches into your table setting, too. To add different heights, gather books and stack them, then place items on top. There’s nothing better than a good summer read, so hosting a gathering where you ask guests to bring their favorite book and exchange with others is sure to make for a memorable occasion. 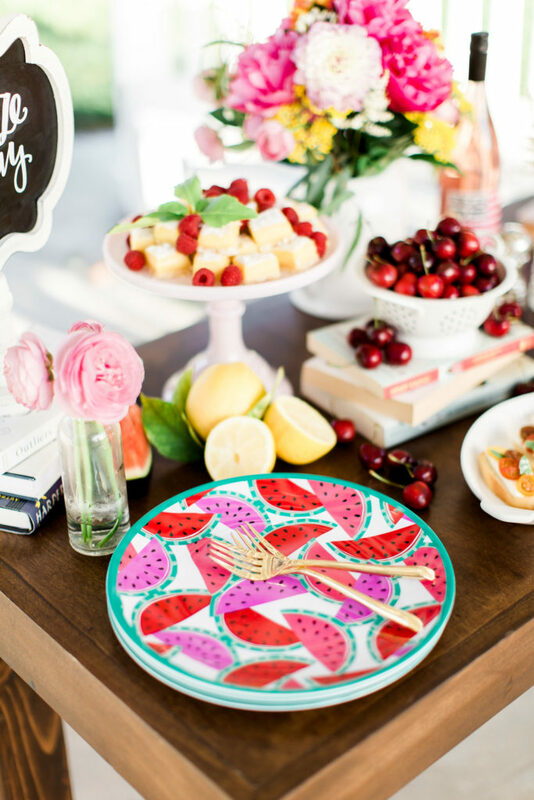 Dress up your table and summer desserts with our Watermelon Plate Set. Where did the inspiration come from for this particular summer gathering? The South, of course (which I’ve always admired), but also the fruits of the season — lemon, watermelon, cherries, and berries. One of my favorite things about summer is all the fresh, colorful produce that fills my local farmers’ market. All so beautiful and vibrant, it’s hard not to smile when you’re around such uplifting colors and sweet smells. Wouldn’t you agree? 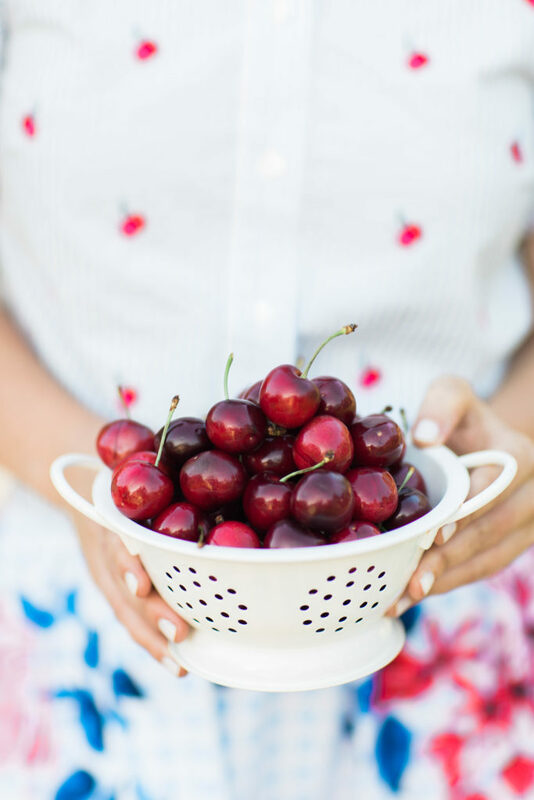 Fresh cherries to match our Cherry Orchard Button Down. Because we’re all about that matchy-matchy. 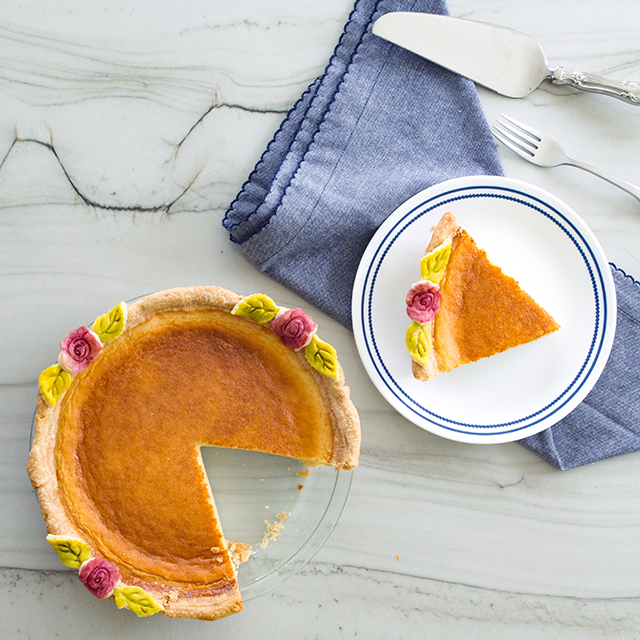 What’s your go-to dish to bring to a summer dinner party or picnic? Something in season, fresh, and often on the more natural side. For example, even if I’m making a sweet, like cupcakes, they’re made with coconut oil, alternative flours, and/or the icing is made with natural food coloring. It’s also important, however, to take into consideration others! While you might love one type of food yourself, those you’re hosting, or joining, might not care for the same thing, so it’s always good to find a happy medium when sharing a dish or entertaining. Place ​w​ater and s​ugar in a small sauce pan over medium heat with rosemary. Stir occasionally until sugar (or honey) ​dissolves. Take off heat and let sit for at least one hour for the flavor to infuse. Add ​w​atermelon and lemon juice ​into a ​blender and puree until smooth. Combine with ​r​osemary simple syrup and stir before pouring over ice. 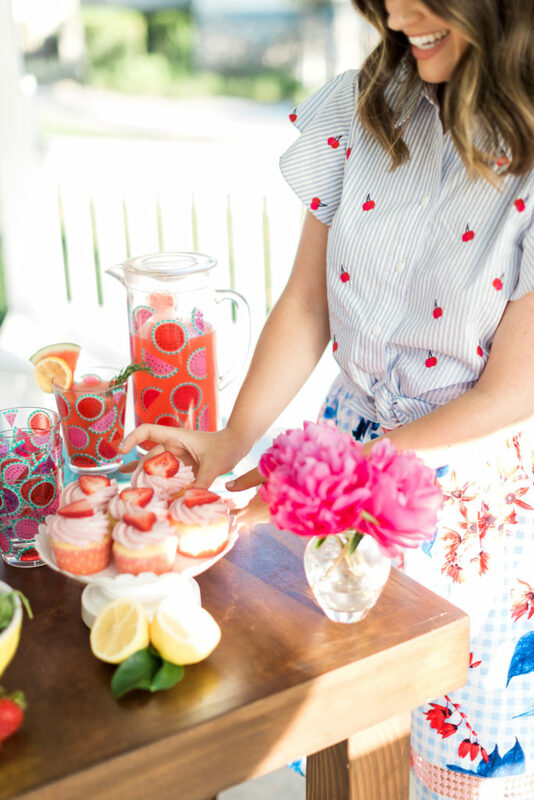 If you’re throwing your own festive get-together with some Draper James goodies this summer, be sure to share on social and tag us @draperjames!